If you have a little over Rs 30,000 and wish for a top-of-the-line smartphone, there aren't many good options available in India although the price segment is full of Chinese devices and older Apple phones. The truth is that barring OnePlus 6, no device comes closer -- even the much-hyped Xiaomi Mi Mix 2 -- to charm the wannabes in the Rs 30,000-Rs 40,000 segment. Sensing the opportunity, Chinese conglomerate Huawei has brought its acclaimed Honor 10 to India which turns out to be a value-for-money device with more storage, all-glass premium look and optimum performance at a lower cost than OnePlus 6. 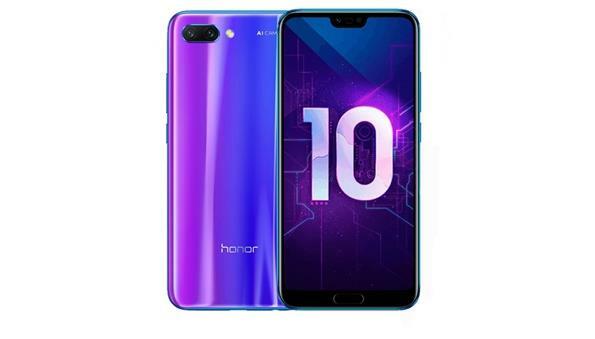 Honor 10 is the second device from Huawei with the number '10' that arrived in India within a time span of less than five months. In January, Honor View 10 was launched for Rs 29,999 -- a successor to Honor 8 Pro -- which is still available for purchase. Let us see if the 5.8-inch, full-HD+ Honor 10 will be able to catch 'em young. OnePlus 6 price starts at Rs 34,999 (6GB RAM+64GB storage) and Rs 39,999 for the 8GB RAM+128GB variant. At Rs 32,999, Honor 10 packs 6GB RAM and 128GB ROM, hence more storage at less price. The Aurora glass design stands out in the crowd, made with 15 layers of 3D glass on the back which reveals a colourful radiance from every angle -- in natural light and shade. The "Phantom Blue" colour was created at The Paris Aesthetics Centre where several Honor engineers and designers worked round-the-clock to make it happen. At 153 gram, Honor 10c sports Full View FHD+ screen with a 19:9 bezel-less display and 86.2 per cent screen-to-body ratio. The device is the latest to capture "notch" -- the smartphone trend for this year wherein the top of the display cuts into the screen to accommodate the selfie camera, earpiece speaker and sensor (and yes, it looks trendy). Another industry-first feature is an ultrasonic fingerprint sensor (most other devices have capacitive sensors) under the glass at the end of the front that opened the device in a jiffy (although you need to extra hard-press while registering your fingerprints for the first time). Face Unlock, however, is faster than the fingerprint scanner. When it comes to camera, the device sports 24MP+16MP rear duel-lens Artificial Intelligence (AI) camera. According to Honor, the AI camera is supported by the AI chipset with built-in neural processing unit (NPU), meaning it may recognise over 500 scenarios in 22 categories in real-time. This feature is supported by the "Semantic Image Segmentation" technology, which allows the device to identify multiple objects in one single image. The 24MP front camera supports 3D face recognition, optimises facial details and detects over a hundred facial points to pixel-level accuracy. We clicked images with accurate "bokeh" effect that captured subtle features of the face, even in a 'groufie' shot. The device runs Huawei's very own EMUI 8.1 OS which is based on the latest Android Oreo 8.1, which gave a smooth experience while using the entire app ecosystem. The battery life was great and the 3,400mAh (typical value) battery lasted for more than a day on a single fast charge, while browsing, using apps, emails, messages and watching YouTube most of the time. The device has kept the quintessential 3.5mm headphone jack for the old timers to listen to music. The device lacks wireless charging and water resistance. It is slippery owing to an all-glass design; so an external case is advisable to avoid cracks. Conclusion: At Rs 32,999, no device packs so much -- premium look and feel, more in-built storage and stunning performance. It won't be wrong to say the OnePlus 6 has got a really tough contender in Honor 10 which comes with "Dus ka Dum". Honor is both closely associated with Huawei as well as one of the strongest competitors of the world’s third largest smartphone manufacturer. Honor 10 is more affordable and value for money smartphones in india.